125 1/4 oz in 5 colors and 100 3/8oz. 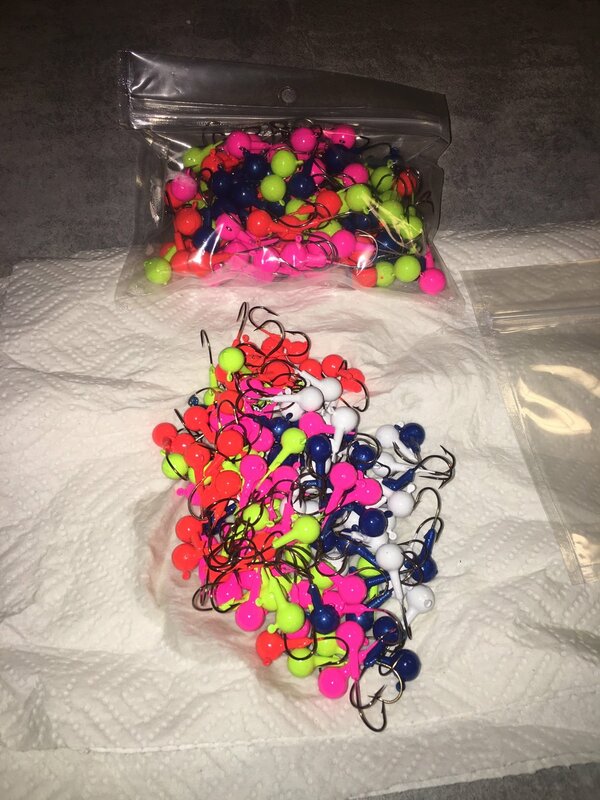 in 4 colors now I have to make 50 each of 4 bait’s in 5 colors. No kidding. That's a good sized order. So Mike....what's your local knickname? The big dipper? That's a pile of pretty right there. Nice stuff.